Fannie Mae, Freddie Mac and FHA have always had maximum loan amounts for loans they secure or insure respectively. Loans above this limit are known as jumbo loans. Outside of a few tweaks for high cost areas; 2006 was the last time Fannie Mae, Freddie Mac and FHA touched their loan limits. In fact, the Housing and Economic Recovery Act of 2008 established the baseline loan limit of $417,000 and requires this limit to be adjusted each year to reflect the changes in the national average home price. However, after a period of declining home prices, HERA made clear that the baseline loan limit could not rise again until the average U.S. home price returned to its pre-decline level. Until this year, the average U.S. home price remained below the level achieved in the third quarter of 2007, so the baseline loan limit had not been increased. For Fannie and Freddie – In most of the country the 2017 maximum loan limit for one-unit properties will be $424,100, an increase from $417,000. In high-cost areas like Santa Clara, San Jose, Fremont along with Alameda, San Mateo and most counties in the Bay Area, the cap will be $636,150, up from the previous loan limit of $625,500. Maximum loan limits for 2017 are up in all but 87 counties or county-equivalents in the U.S., according to the FHFA. “Until this year, the average U.S. home price remained below the level achieved in the third quarter of 2007 and thus the baseline loan limit had not been increased,” the FHFA said in its announcement of the increase. 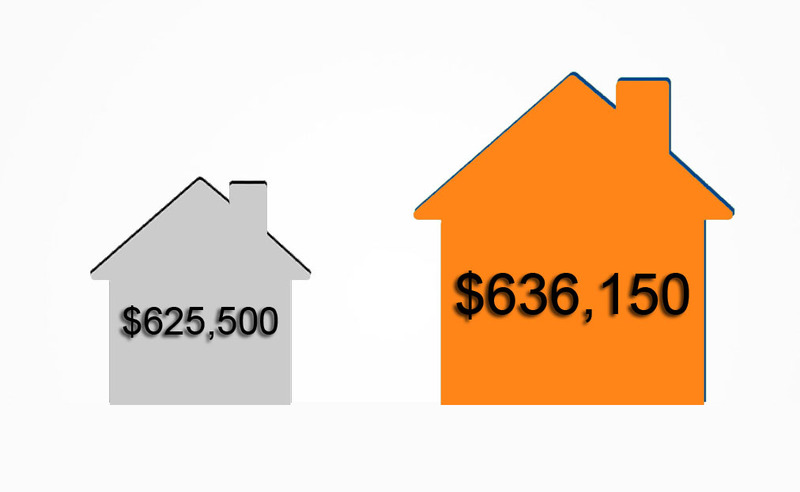 In so-called high cost areas, the national “ceiling” will increase to $636,150 from $625,500. The “floor” will increase to $275,665 from $271,050. The loan limit ceiling is 150 percent of the national conforming limit ($424,100) while the floor is set at 65 percent. The floor applies to those areas where 115 percent of the median home price is less than 65 percent of the national conforming loan limit. Any areas where the loan limit exceeds the “floor” is considered a high cost area. The new ceiling loan limit that applies to the areas with the most expensive homes will be $636,150, which represents 150% of the maximum baseline. While FHA operates a little differently, they also have loan limits. Their limits are based on the median income of the county – except for properties that are located in metropolitan or “micropolitan” statistical areas – in which the property resides. California areas receiving the FHA loan limit increase include: San Jose, Sunnyvale, Santa Clara, San Francisco Bay Area, Los Angeles, Napa, Santa Cruz, Oxnard, Thousand Oaks and several more. In metro areas, the limits are set using “the county with the highest median home price within the metropolitan statistical area,” according to HUD. The maximum amount for the VA Home Loan Guaranty Program for 2017 will be $424,100 in most counties. 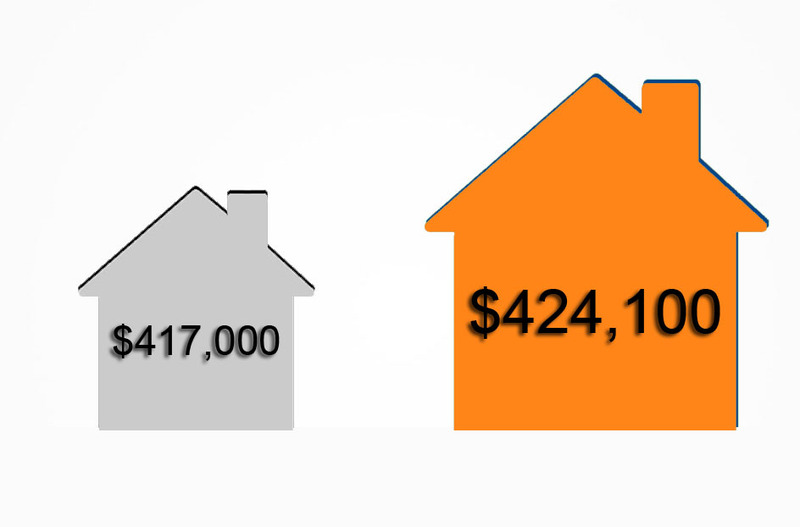 In higher-cost counties, the loan limit will range from $425,500 to $721,050.